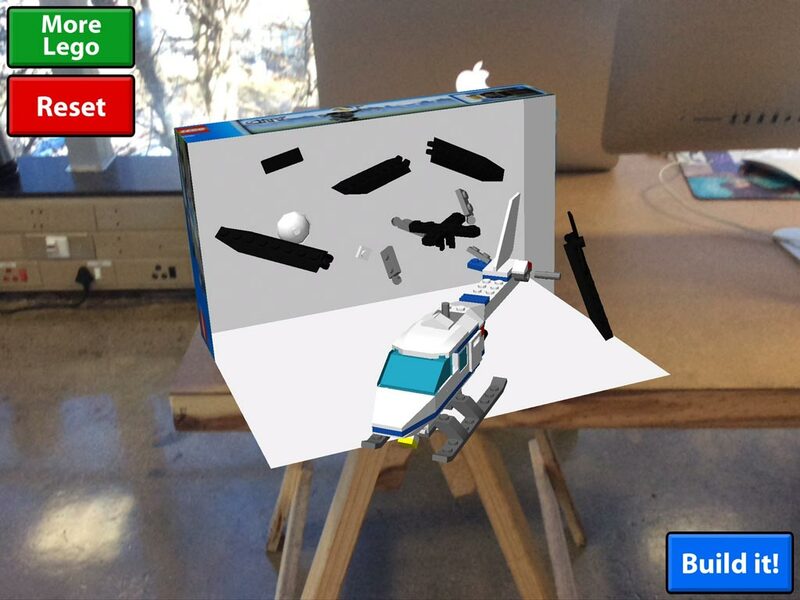 This prototype was developed to showcase seamless use of Augmented Reality with a real world product. 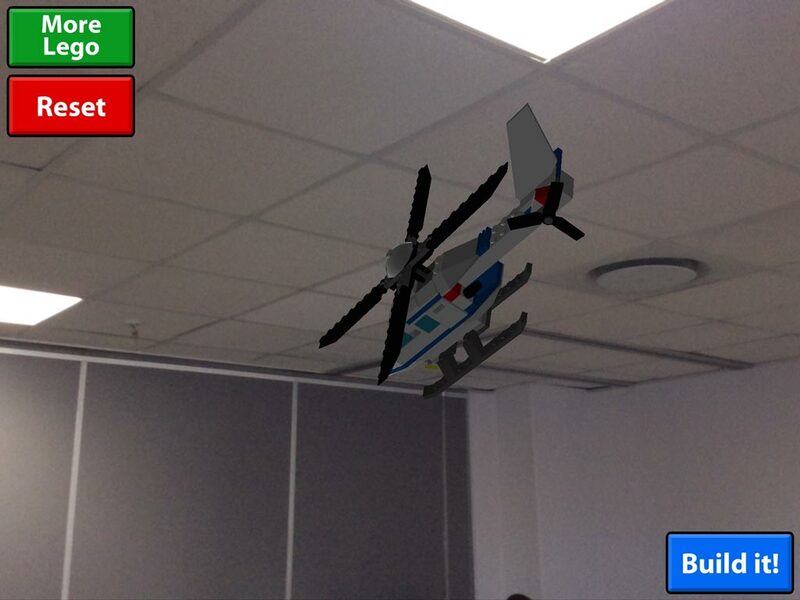 The helicopter is built block by block and will hover when completed. It will then fly to the left, prompting end-users to follow the helicopter as it flies a full 360 degrees around them. In this case, a marker triggers an AR activation, but allows the end-user to move off the marker without disrupting the experience, which is something that is seldom seen on other AR apps. 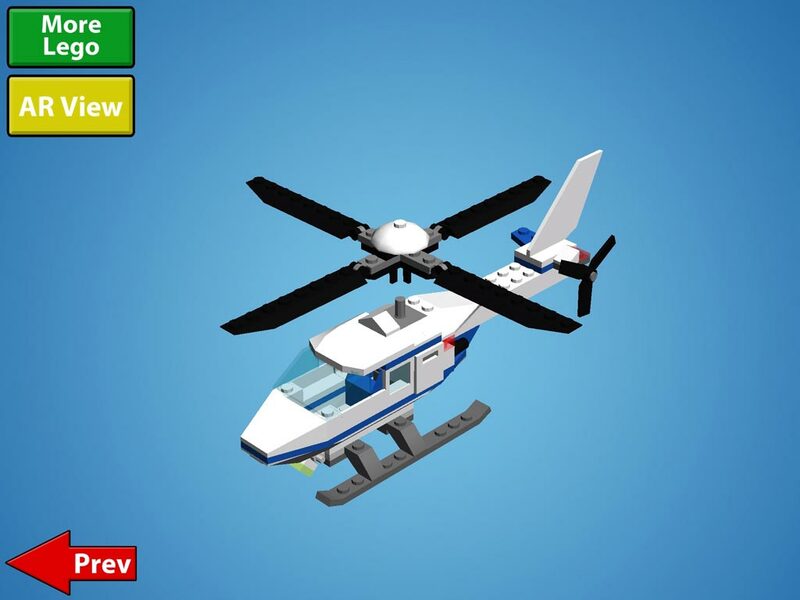 There is also a 3D step-by-step instruction on how to build this helicopter piece by piece. Permission has been granted to demonstrate this app at Intellilab events.